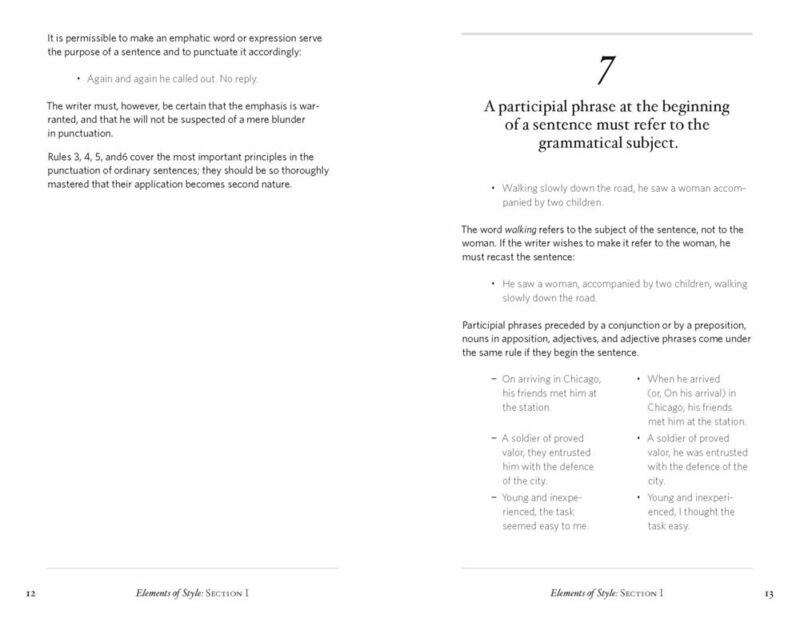 The Elements of Style is a classic grammatical reference book for students and conscientious writers. The focus of the book is on composition, the effective use of plain English and the principles of composition most commonly violated. 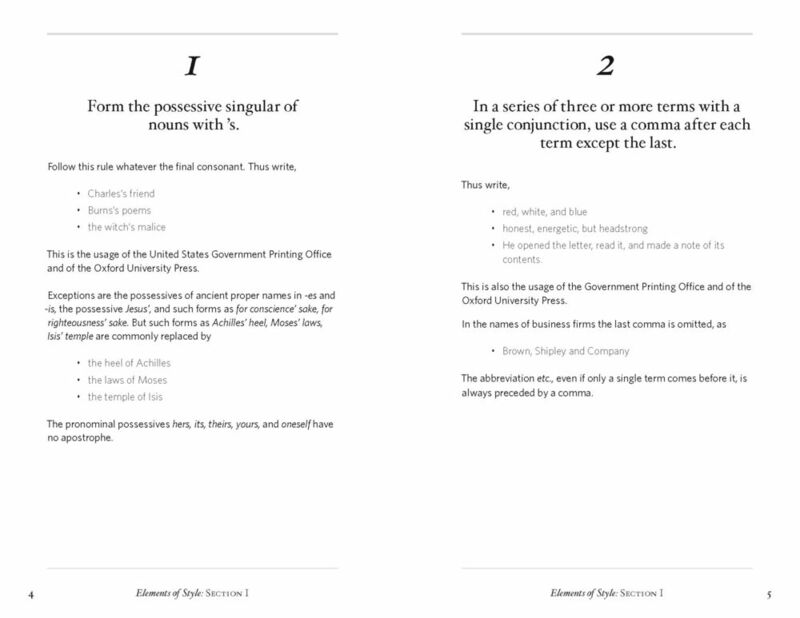 The text is full of examples and comparisons, which necessitates the effective use of indents and shifts in typographic style. The text, written in 1918, is quirky, and, at times, a little archaic.